With support from the Kavli Foundation, the science program at every AAS meeting gets under way on Monday morning with the Kavli Foundation Lecture by a distinguished astronomer. In Boston the honor went to David N. Spergel (Princeton University), whose presentation was entitled "New Probes of Dark Energy." 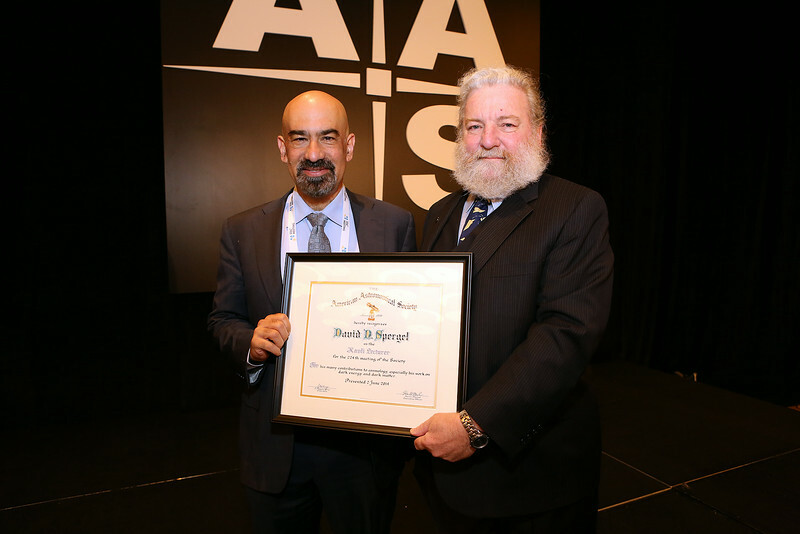 Spergel (left) was introduced by AAS President David Helfand (Quest University Canada). AAS photo © 2014 Joson Images.